Meetings either seem to keep me from getting my work done or add many more items to my “to-do” list. Often they do both. However, sometimes meetings are a valuable source of important information. This morning I attended an interesting meeting. The gathering, back in maybe 2000, was known as something like the Art Town Group, then it became the Joint NDDC-NAG Arts, Recreation and Culture Committee, and now it seems to be the Arts and Culture Committee. 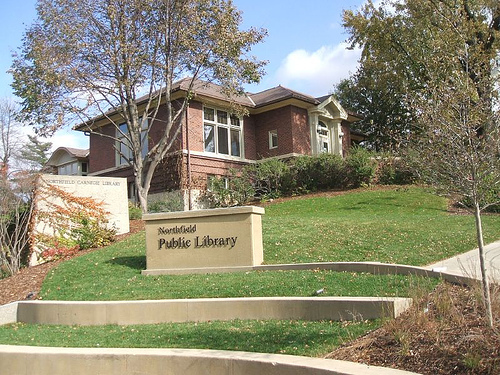 It is peopled with some of Northfield’s most independent thinkers. Today’s group included Bardwell Smith, Hayes Scriven, Dixon Bond, Philip Spensley, Rob Schanilec, Keith Covey, and Jane McWilliams. Library Board member Bob Bruce gave an update on the library’s planning process. That’s where the important information was shared. 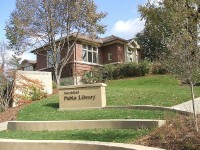 The Library Board sent out a Request for Proposals (RFP) for a Feasibility Study of the current site. Six architectural firms responded and four are currently being considered. In the next week or so, a final decision will be made. Then a two to three month process will begin, including at least two public forums. The first public forum is anticipated for early May. Then Northfield Historical Society E. D. and new father Hayes Scriven and I made like bakers and hauled buns over to our next meeting. It was the Heritage Subcommittee of the Northfield in Bloom group. There Alice Thomas led a group that included Gail Jones Hanson, Richard Collman, David Gonnerman, Judy Swanson, Marcia Walters, Joe Hargis, and Cliff Clark through a series of three steps. They included an Inventory of Existing Projects, “Opportunities” for New Projects, and a Prioritization of Projects.